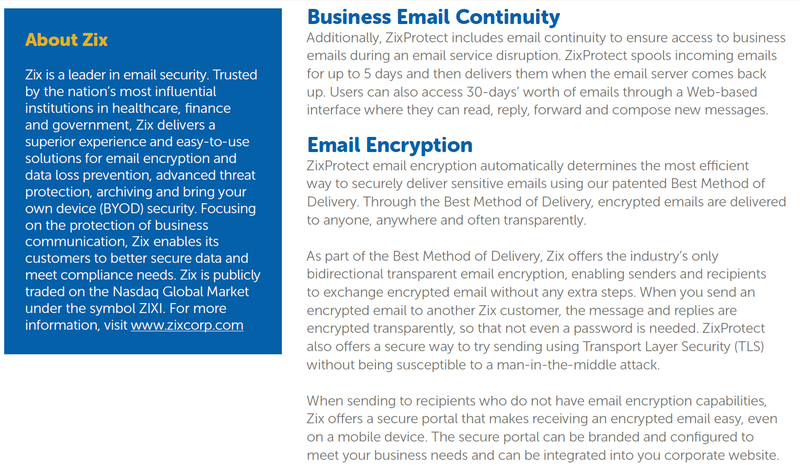 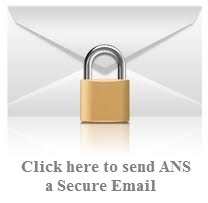 ZixProtect is a security solution that protects email by combining advanced threat protection, encryption and data loss prevention to deliver increased security with an easy to use experience. 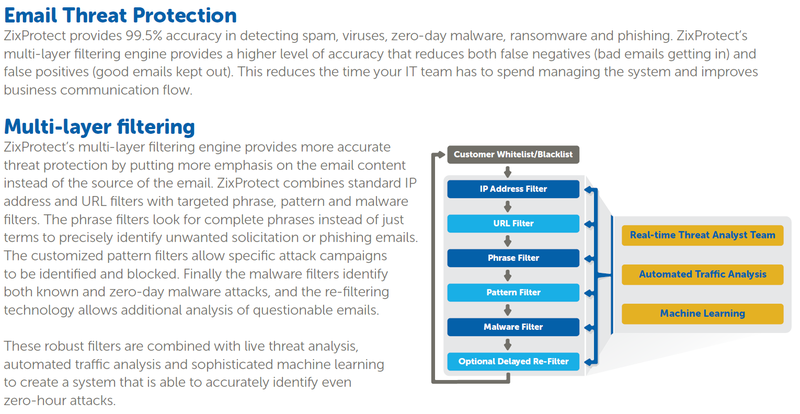 Sophisticated attacks demand a sophisticated solution. 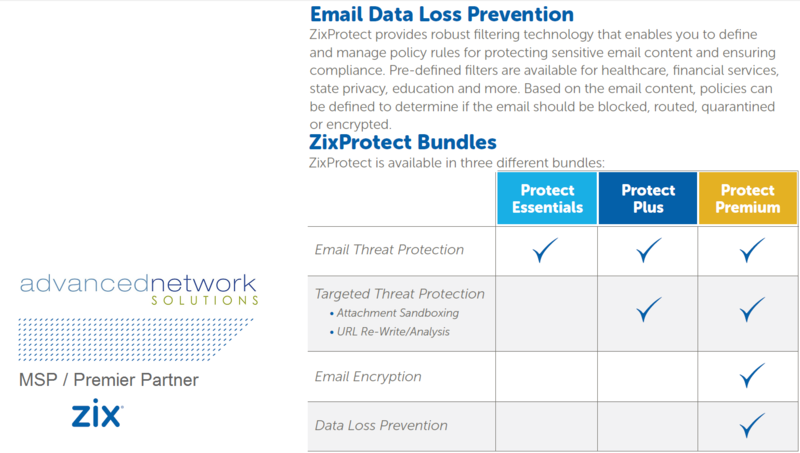 With a multi-layer approach and live email security experts, ZixProtect takes out the guess work to better protect your email, employees and business from the latest threats.